The actor has gone under such a transformation for his upcoming film ‘Dangal’. The ‘PK’ superstar has put on a lot of weight to get into the character of a wrestler, as Dangal is loosely based on the life wrestler Mahavir Singh Phogat. Aamir has always made sure that he gives his hundred percent to all of his characters played by him till date. He turned into a girl for a song in Baazi (1995). Later he grew his moustache in Mangal Pandey (2005), and beefed up considerably for Ghajini (2008). Recently, he cut down a lot of weight for PK. It’s for the first time that Aamir has has bulked up so much for a Character. 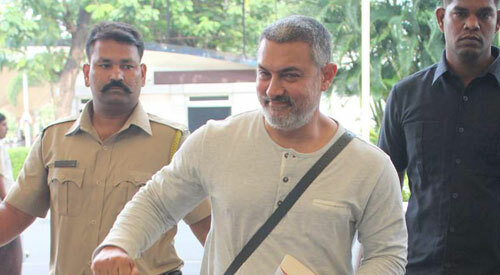 Aamir has reached Ludhiana with the entire film crew and will commence the shoot soon.